RAMALLAH (Ma’an) — Israeli forces detained three Palestinians and injured dozens of others, on Friday afternoon, during protests on the outskirts of the Ras Karkar village, in the central occupied West Bank district of Ramallah. 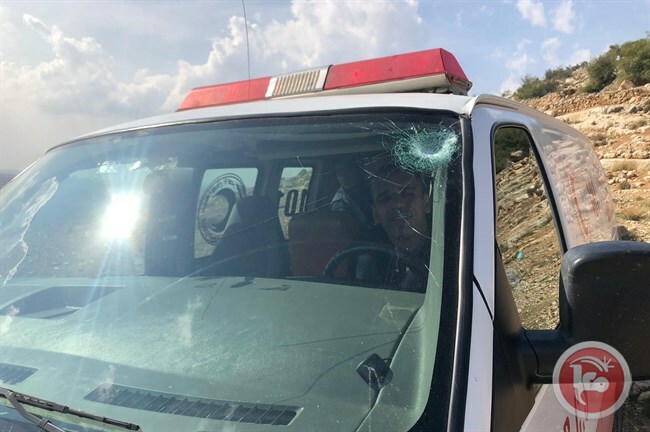 Locals confirmed that Israeli forces attacked and detained three Palestinians, identifying them as Firas Nasser, head of the popular action department at The Wall and Settlement Resistance Committee, Najeh Taamallah, a preacher at the local mosque and Muhammad Manthum. Palestinian protesters and activists were performing Friday prayers on lands outside of the Ras Karkar village, which Israel has been planning on confiscating in order to build a new illegal Israeli settlement.Israeli forces attacked protesters during prayers, causing clashes to break out.Sources said that Israeli forces were deployed in Jabal al-Risan, Kafr Nimeh, Ras Karkar and Kharbatha and fired rubber-coated steel bullets, stun grenades and tear-gas bombs to suppress protesters. Dozens of Palestinian protesters suffered from tear-gas inhalation. Protesters called for revoking Israeli plans to confiscate lands belonging to Palestinians from Ras Karkar and surrounding villages for settlement expansion. Sources also confirmed that among the injured was a paramedic of the Palestinian Red Crescent Society (PRCS), who sustained injuries after Israeli forces targeted the ambulance and fired rubber-coated steel bullets towards it.